Be sure to celebrate the holiday in class with this printable Kwanzaa Acrostic Poem activity. In an acrostic poem, the first letter of each line spells out the subjects of the poem. Students will be asked to write an acrostic poem for the word “Kwanzaa”. This holiday worksheet is ideal for 2nd – 4th grade students, but can be used where appropriate. 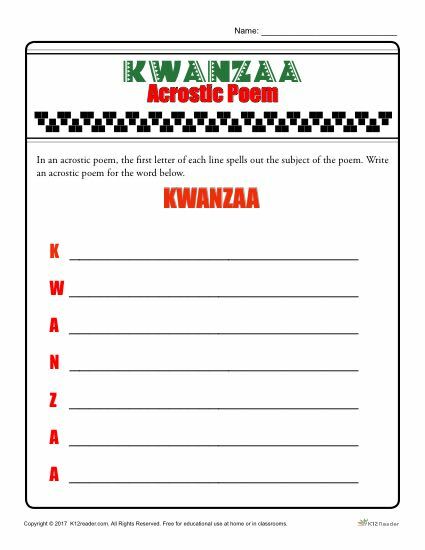 The Kwanzaa Acrostic Poem worksheet is easy to print, making it great for use both at home or in class.